Plenty of organizations, both large and small, suffer from poor connectivity. Even President Obama recently admitted that the White House, of all places, has terrible Wi-Fi. 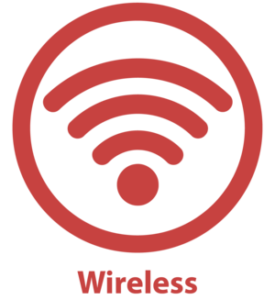 While there are a few different factors that can be affecting the quality of your Wi-Fi, like interference or broken network devices, improving your wireless connectivity may be as simple as adding new wireless access points throughout your business. Wireless access points can improve interconnectivity and boost the strength of your signal, thus providing faster and more-efficient service to all employees. Network Craze specializes in providing both new and refurbished wireless access points. Whether you’re looking to make your first wireless access point installation or you want to upgrade or bolster your existing ones, Network Craze will work with you to help determine the best options for your business. To improve Wi-Fi connectivity in your own network, click here to contact Network Craze today. 80% of my complaint tickets to the IT helpdesk were about the lack of wireless connectivity. I called Network Craze and they were about to do an assessment, develop and implement the plan. This has saved my staff so much time and allows them to focus on other more important tasks.